I was having a hard time waking up early from the good night sleep. The wind was so cold that sleeping was the only greatest thing to do. I was lying on a sofa bed of a condo unit in Tagaytay when I opened my eyes. It only took a second for me to notice that the sun was already up. I was supposed to wake up earlier than 6 am, but then it was already past the wake up time. Getting ready for the upcoming trek, I immediately went my way to the bathroom for a shower that ended so quickly. 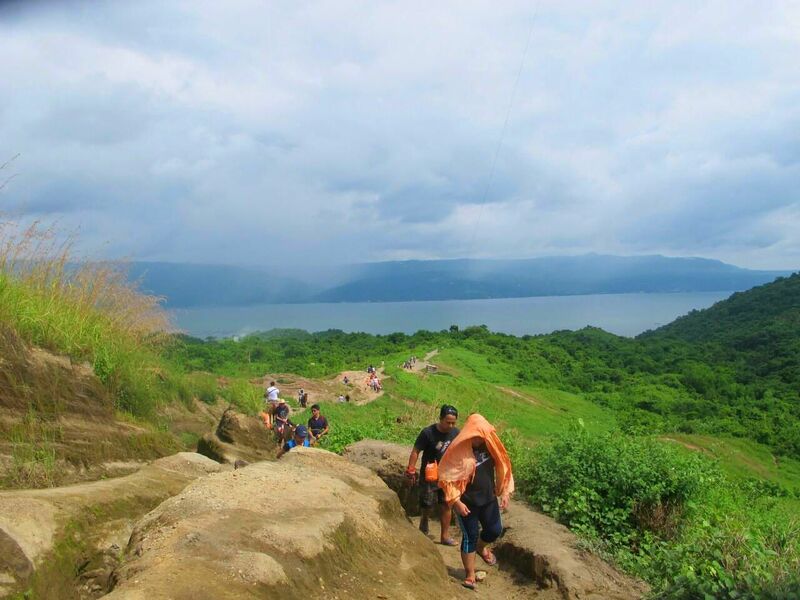 They say that It could be so hot trekking up to the Taal crater. So we were in a hurry to get there before the sun becomes unbearable. So there we were, finding our way to Talisay Batangas where the jump off for Taal Volcano is. The next thing we know, we’re already in a motorized boat going to Taal. Saltwater were splashing into our face, the wind were at their finest. It only took 20 minutes of boat ride. Before we got out of the boat, a boy holding a camera asked us to smile. We knew then that minutes after, we will be offered to buy the printed picture, edited and with frame on it. It could be a beautiful memory of that trip. But we don’t have that much money. Our own cameras were enough to capture our experience. We were on a discussion if we will just walk our way up or comfortably ride a horse to the crater. It’s gonna be a 4 km trek long and a steep part just when you’re already near the crater. Trekking more than riding a horse sounds challenging and more importantly, cheaper. Apparently it will cost 450 pesos for riding a horse. Don’t worry, it’s already two way. Still, it is something we couldn’t afford. Trekking will only cost us one hour, lots of sweat and an ‘I conquered Taal’ feeling. So there goes the trekking part. Our guide was ahead of us, a mother of 5. 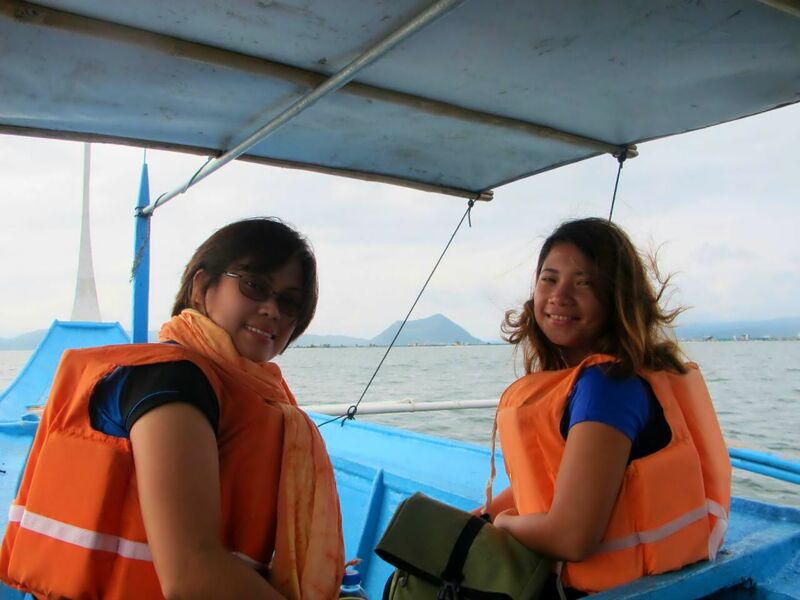 Two are in high school who studies in Talisay, so they ride a boat everyday going to school. 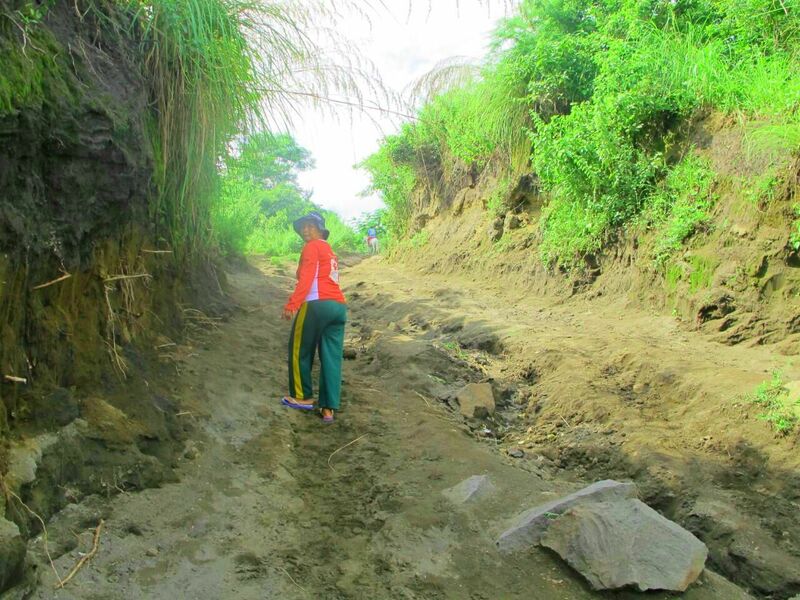 Three of her children are in elementary who studies in Taal. Yes, I interviewed her, and she brings food on the table and send her children to school by hiking up and down to the crater with different guests almost everyday. It was my first time to trek after more than a year of not climbing a mountain. It got so hard on the continuous slope part. It felt like I was already trekking for hours. When I asked the guide if we’re already near, we weren’t even on the halfway yet. As we continue, I was able to spot a resting area, a buko juice stall and an opportunity to take a rest for longer minutes. We can see the view deck from afar. Our hopes were ignited and then we can also see the steep part from there. It looked so near but it looked like it is close to crawling our way up. The beautiful view helped soothe the burden of trek so there’s no other way but to continue. It was really hot on the later part of the trek as there are no trees nor grasses in there. The only consolation from catching our breath is the view deck that we can spot as we continue. I knew that I can get there. At the end of the trek, there it is, the island withinin a lake withinin an island in a lake withinin an island. 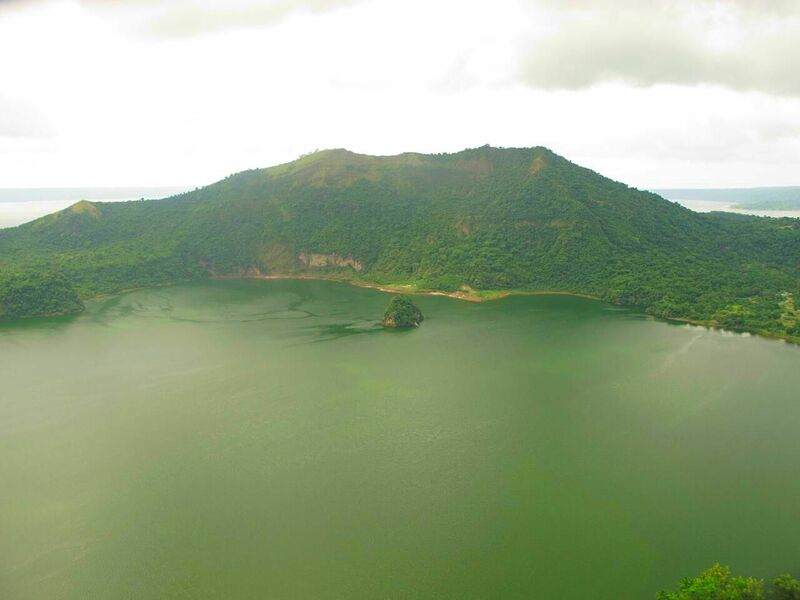 A volcano island emerged within the Taal Lake through the subsequent eruptions. And that made it unique. 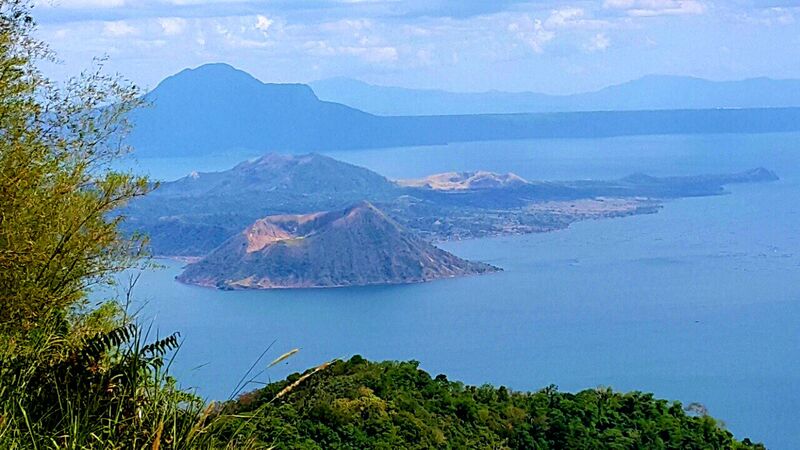 Taal is an active volcano. The locals literally live with danger, but tourism paved their way to earn a living. When finding your way to the volcano, smile with the locals, guides and vendors. It could be irritating when they offer you to buy here and there, but if it’s something you don’t need, say no with a smile.